Whatever vehicle you drive, you must to have insurance to protect you from any unexpected expenses of accidents whether caused by you or another driver. 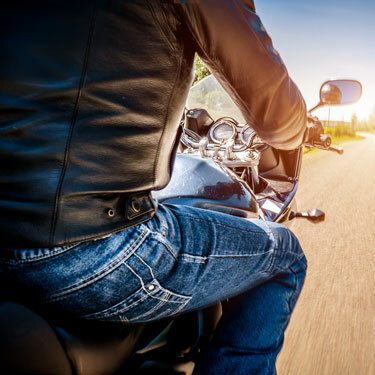 Because motorcycle accidents can be very expensive, you’ll want to make sure that you are adequately covered for any accidents that occur when you are driving a motorcycle. Did you know that motorcycle accidents are the most common of road accidents? Aside from accidental damage, you would also want to protect your motorcycle against theft. Motorcycles are much easier to steal than cars and larger vehicles. There are a number of insurance companies that provide motorcycle insurance coverage. Just like your auto insurance coverage, your motorcycle insurance coverage gives you protection against damages to you and your motorcycle as well as to third parties damaged as a result of your negligence. This includes all vehicles that have open-air driver’s seating and a hand-grip device as a steering mechanism. Liability, medical, and uninsured motorist coverage are often included in most motorcycle insurance policies. Certain exclusions would apply depending on the concerned insurance company. Most motorcycle insurance coverages would exclude coverage for loss of use damages.